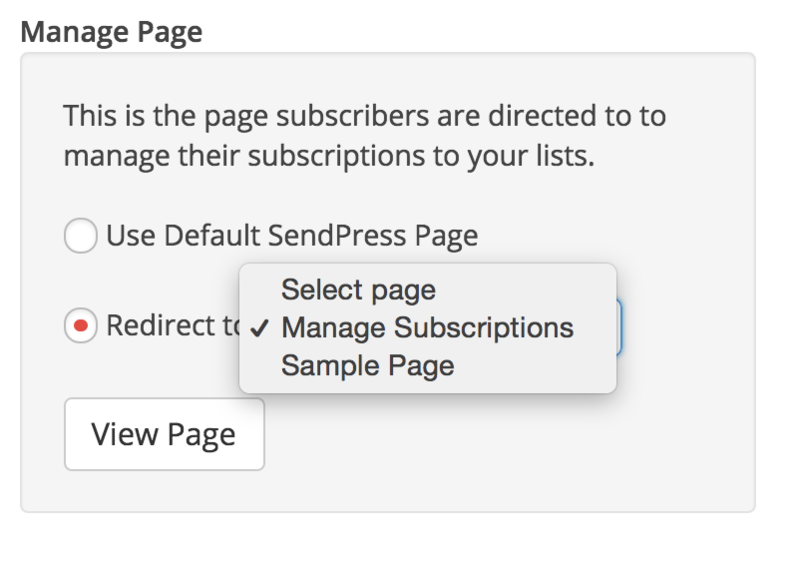 To create a Manage Subscription short code, go to SendPress > Settings > Forms and click the Create form button. 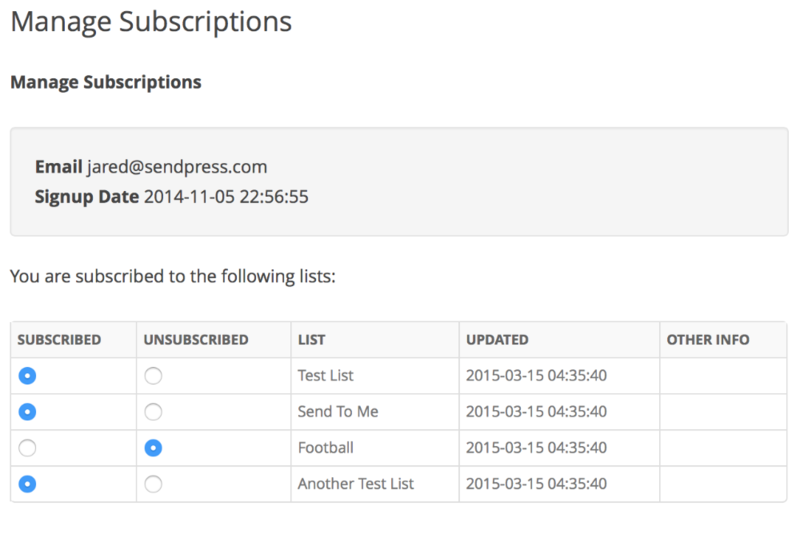 In the form type dropdown, select "Manage Subscriptions". Now that the shortcode is created, you can enter the optional description and click save, otherwise copy the shortcode from the box on the right side of the page. Next we need to build a page to put the shortcode on. This page is where your users will be directed to when they click on the manage subscriptions link in a newsletter they received. Finally, we need to tell SendPress that we have a page on our site ready with our new shortcode. To set this we need to navigate to SendPress > Conformation and under Public Page Settings find the Manage Page section and chose the "Redirect to:" option. Select the new page you created with your shortcode on it from the dropdown and click Save. Now when your users click the manage subscription link in an e-mail they will be redirected to the new page and see the form to manage their subscriptions.